I had a whole weekend where I caught up on a lot of horror films. It inspired me to get into Halloween fever, as it is almost October! I knew I needed to get one of these Halloween signs for my yard or porch this year. 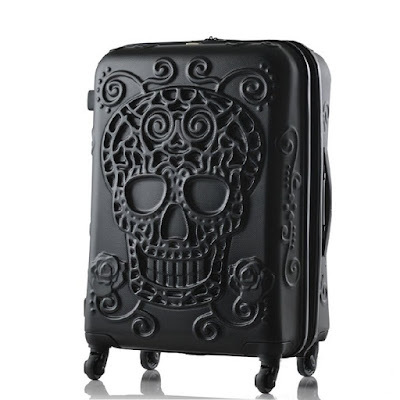 Each one is reminiscent of something from a classic Halloween film or story. I instantly began thinking of all the terrifying scenarios that could possible happen! These are definitely creepy, come take a look. 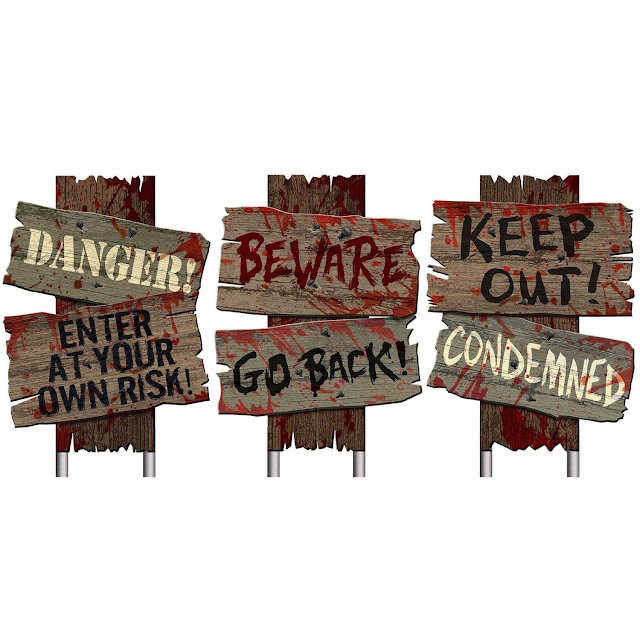 There's a reason why these are the most popular Halloween signs on Amazon. Of course, you could line these up so people can read them as they approach your house. That might scare the trick or treaters away! Except for the bravest! 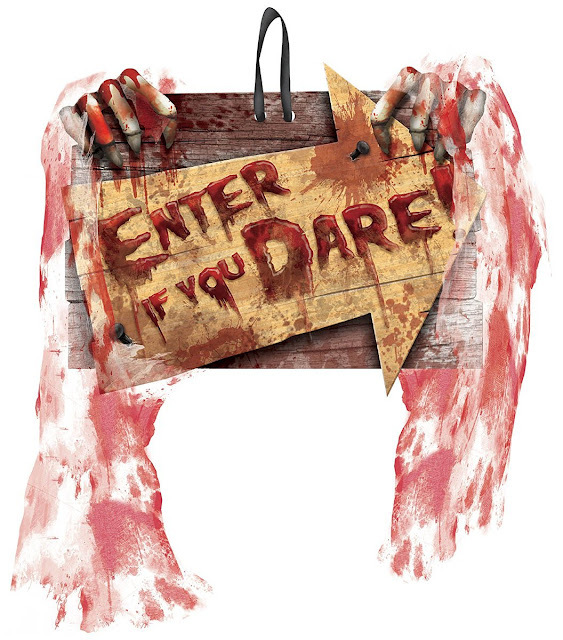 This is quite an unsettling Enter If You Dare wall sign. No one wants to see bloody bandages hanging from the wall. Especially if they see grotesque fingers holding it up. These Halloween sidewalk signs are pretty much exactly as the first above. If you're looking for something as little less threatening this is a great option. 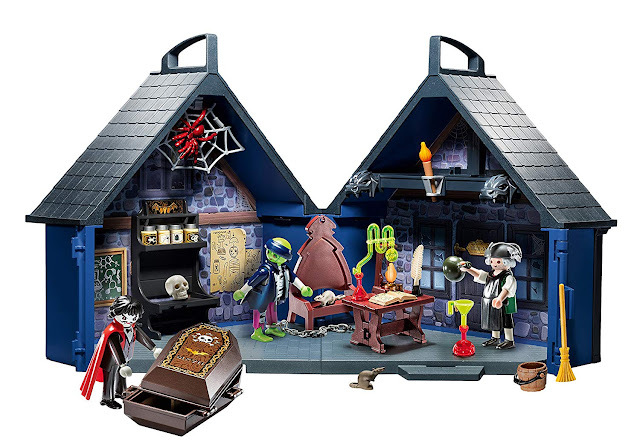 It's also great if you're wanting a Mad Scientists lab kind of look for the house. 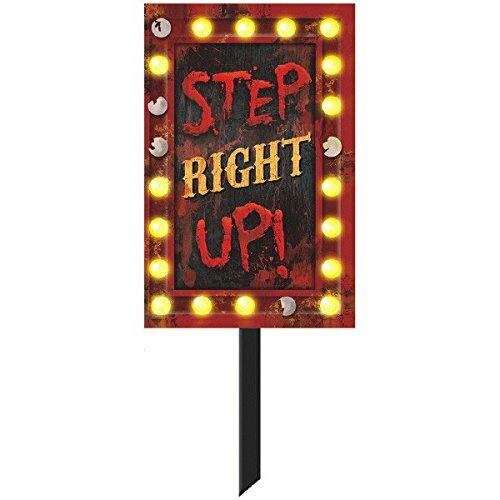 The Step Right Up sign might be a little too enthusiastic. Plus, it's horrifying to think a clown might pop up at any moment! No one likes a creepy circus act. 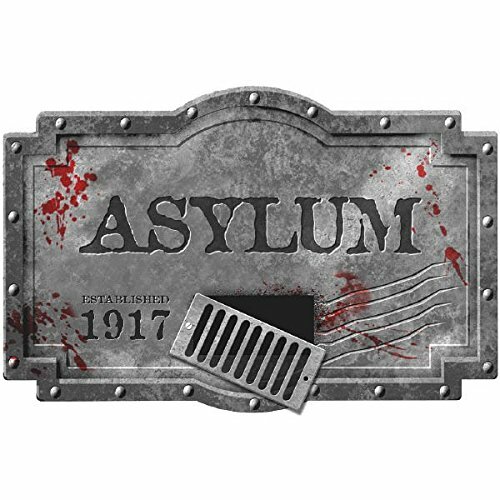 I wonder how large this Asylum Styrofoam sign is. Since the vent is clearly off the hinges, it suggests that you either escaped an asylum or there is a psycho loose! It would be fun to dress up as a bunch of mental patients who have escaped the asylum. I laughed when I read this Halloween sign decoration. The "Our guests never complain" line is pretty hilarious. 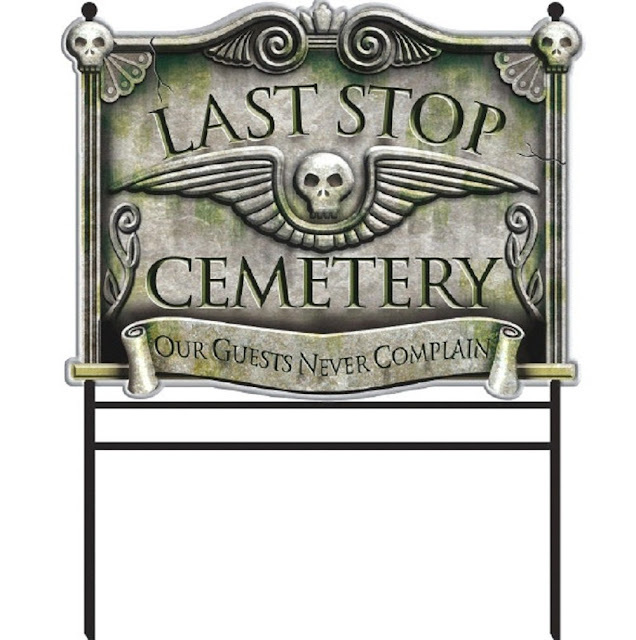 This would be a great sign to hang above your front door for a Halloween party. You could have all your guests dress up as zombies or ghosts! 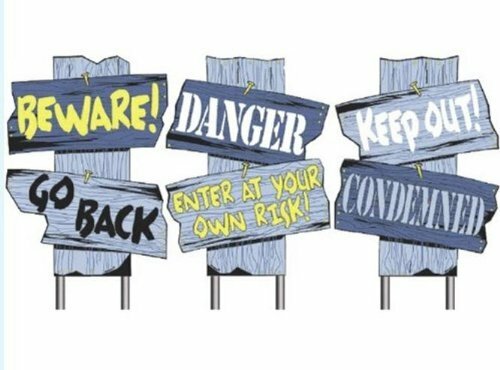 One simple thing like these Halloween signs could make your house extra scary. What do you think of them and which is your favorite? Let me know what kind of party or theme you may be having this year!